This is exciting! 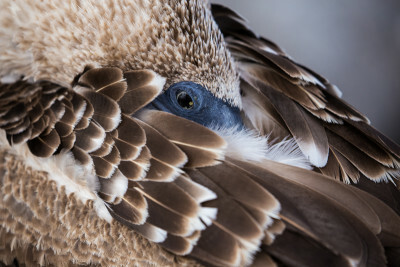 We’re running our first ever Galapagos Islands Photography Tour and Workshop. And, to top it off, we’re also going to the Amazon! Even more exciting yet, I’ve managed to convince one of the world’s best wildlife photographers, Morten Hilmer, to join on as a co-leader. Even more exciting, I’ve managed to secure a “YouTuber” special on an incredible luxury boat in The Galapagos meaning that we’re going to be travelling in style for the same price as the mid-range and budget trips. How awesome is that? The trip to Ecuador is still quite a bit in the future, and will run December 2019, but this trip is definitely going to fill up quickly. So, get at this quick if you’re interested in joining. **Note** It should be noted that while this is the first time running this particular trip, I’ve run 6-7 other trips to Ecuador and am very familiar with the country. I’ve also been to The Galapagos Islands twice already on assignment. The main focus of this trip will be capturing the amazing wildlife found all over Ecuador. But, there will also be ample opportunities for landscape and travel photography. We’ll be in the Galapagos for 5 days, photographing some of the beautiful endemic species out on the islands. It’s also Giant Tortoise hatching season in December, so with some luck we’ll see some incredible things there. In the Amazon, we’ll go looking for pink dolphins, caiman, monkeys and other on the rivers and nature walks. All-in-all, this is the journey of a lifetime. 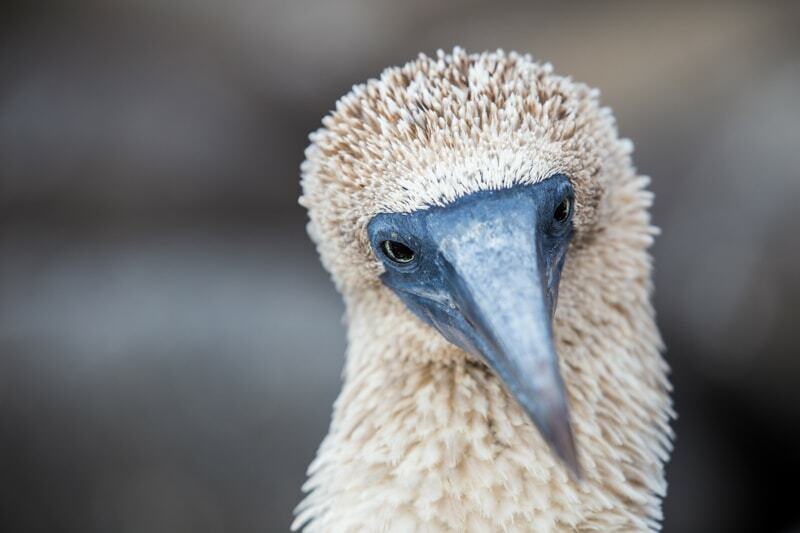 Headshot of a Blue-footed Booby. I wanted to build an itinerary that would show the best of Ecuador in a short time. 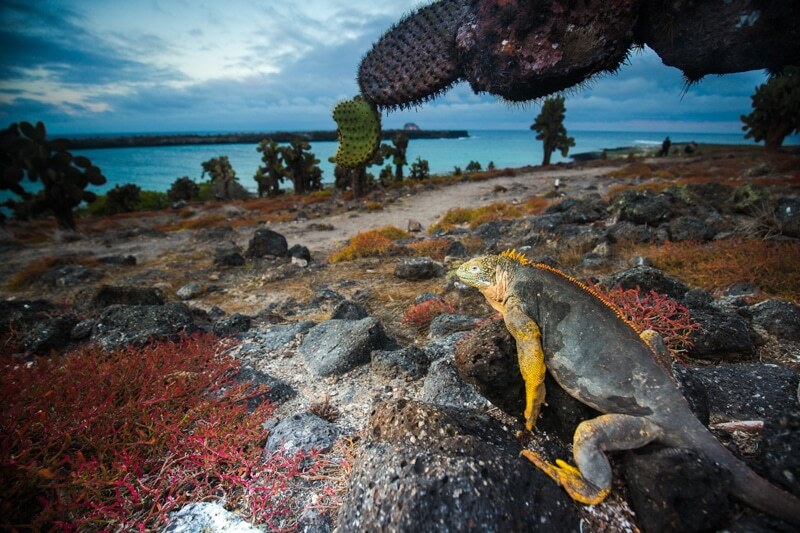 I wanted to show you the two extremes of this beautiful country: the Galapagos Islands and the Amazon basin. To do so, we’ll do some travelling – by plane, bus, and boat. Day 2: Sunrise in Quito, Bus to Cuyabeno (The Amazon Basin), Jungle Walk. Day 5: Sunrise in Cuyabeno, bus back to Quito. Day 10: San Cristobal Island, then flight back to Quito. 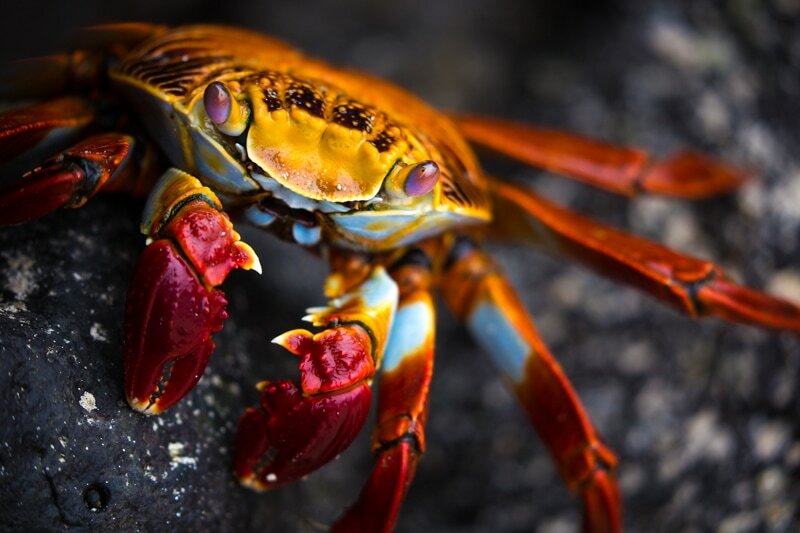 **Note: The itinerary in The Galapagos Islands is not set in stone and can change based on environmental variables. We’re extremely lucky. The luxury yacht “Infinity” offered us a great discount so that we could travel in style. 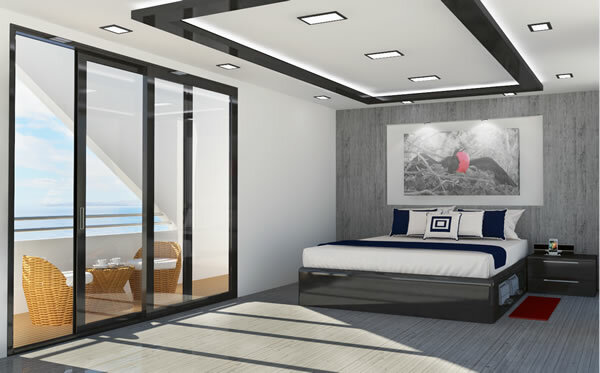 The Infinity is one of the newest yachts in The Galapagos and is absolutely special. 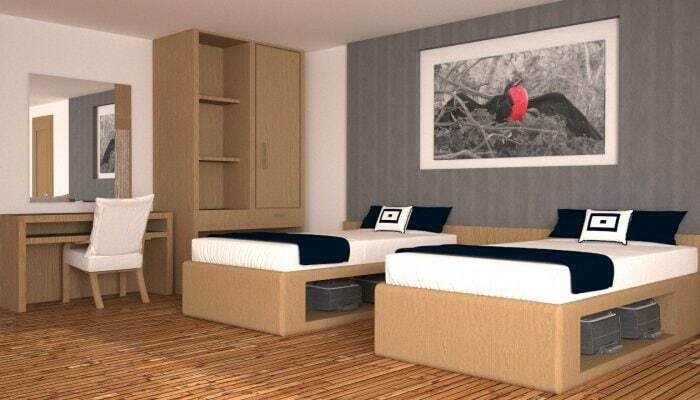 Each room is equipped with its own bathroom and balcony. It’s incredible. And, with the luxury boat we also have our own local guide/naturalist, and an amazing ship crew. Below, I’ve attached a couple images. ** Note: Had we gone with a mid-range or budget boat, the price would have been the same. Morten is one of the world’s premier wildlife photographers. But, more than that, he’s just a genuinely nice guy who has a love for nature and conservation. Be sure to check out his YouTube channel to see the sort of things he gets up to in his home country of Denmark and beyond. Ready to Book – Sold Out! Due to the fact that I had to put a MASSIVE deposit down on the yacht, I am going to ask for 2 deposits. The first deposit is to be paid now and will hold your space. The second deposit will be also be for 800 Euros and I’ll be asking for that 6 months before the tour start date (June 2019). Full payment required 120 days before the start date. If participant cancels within 120-91 days of the start date a full refund minus 1200 Euros will be offered. A full refund minus a 400 Euro fee is possible if the vacated spot can be filled by someone on the waiting list. A full refund minus a 800 Euro fee is possible if the vacated spot can be filled by someone on the waiting list. If participant cancels within 60 days of the trip start date no refund will be given. I’m afraid that there is no single supplement available for the Galapagos portion of this trip simply due to lack of space on the boat. If you book as a solo traveller, you’ll be paired up with a fellow participant of the same gender. I can offer a single supplement for the nights in Quito and the Jungle. That rate is an extra 600 Euros. There’s no need to pay the single supplement now if you want it. I’ll be asking in emails down the road. If you can’t join this trip to Ecuador, but want information on future trips to The Galapagos and beyond, please sign up to the mailing list below. I have trips that will be announced for places like Patagonia, Morocco, Georgia, and many more!